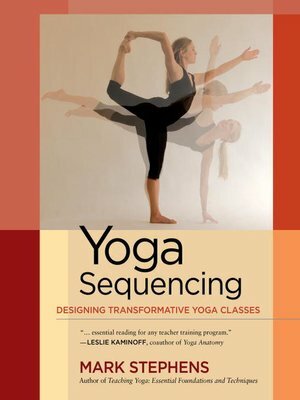 Yoga Sequencing: Designing Transformative Yoga Classes presents the essential principles and methods for planning and sequencing yoga classes. Addressing one of the most popular topics in the yoga profession, this book offers sixty-seven model sequences of yoga poses (asanas) that cover the broad range of yoga student experience, including multiple sequences for beginning, intermediate, and advanced students; yoga for kids, teens, women across the life cycle, and seniors; classes to relieve depression and anxiety; and sequences for each of the major chakras and ayurvedic constitutions. Each sequence provides guidance for teaching the different breathing (pranayama) and meditation techniques that give yoga its transformative power. Enhanced with over 2,000 instructional photos and an elaborate guide to the constituent elements of over 150 yoga asanas, the book draws equally from ancient yoga philosophy and contemporary insights into functional anatomy, biomechanics, and kinesiology. The nuanced interrelationships among asanas within and between the seven asana families are explored and the anatomy of opening and stabilizing each pose is explained for sequences designed around specific needs and intentions. A comprehensive appendix includes a glossary of yoga-related terms, an alphabetical asana index with thumbnail photographs of each asana, a class planning worksheet, representative sequences from several popular styles of hatha yoga, and a list of resources for further exploring sequencing and the larger practice of teaching yoga.